Posted: Tuesday, January 10, 2017. 2:40 pm CST. 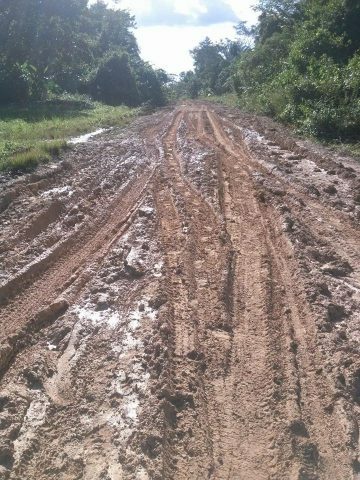 By BBN Staff: Residents of Crique Sarco in the Toledo district are pleading to the government for help as the road that connects the mainly Q’eqchi Mayan community to Punta Gorda is in such deplorable conditions that residents have been virtually cut off from the neighboring town. Crique Sarco is approximately 40 miles from Punta Gorda and residents say the government has been ignoring their requests for help. According to residents, cars are no longer able to traverse the full distance of the road as the conditions have gotten very bad in some areas. Residents also say their daily bus cannot make its regular run anymore causing farmers to lose out on sales in Punta Gorda on market day. Students missed classes on a number of days in December before the Christmas vacation. Residents are very concerned and are asking the relevant authorities to look into the situation because when it rains the conditions get considerably worse.